The beauty of a slow cooker is that you can set it and practically forget it until you return home from a long day and you are hungry for dinner. Usually, the smell of your cooked dinner hits your nose the minute you open the front door. These recipes for chicken entrees and casseroles cooked in the crockpot are among the best you can get. Another great thing about slow cookers, they are so forgiving. Usually after 6 to 10 hours, the flavors all meld together. Often, you can substitute many ingredients for those called for in the recipes. And, if you make changes, be sure to write them down. A forgotten recipe is like a lost chord of music, it can take literally months to try to reproduce. 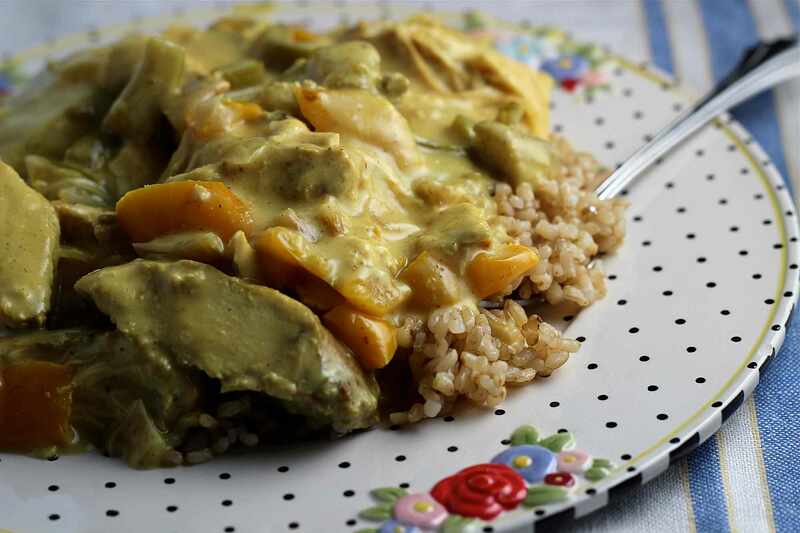 This crockpot orange curried chicken recipe started as a skillet meal. It has been adapted for the slow cooker. It is easy to make, too. Serve it with hot cooked rice or couscous, or even some penne or orzo pasta. Crockpot chicken and sweet potatoes make for a hearty meal (and heart-healthy, too). Paired with a medley of spices and peach preserves, people of all ages will appreciate this sweet meal. This super easy crockpot chicken supreme recipe has great taste and texture including creamy sauce, cheese, and chicken breasts. The slower cooking process on lower heat makes the breast tender and juicy. Creamy slow cooker Italian chicken is smooth, and so flavorful. This is another recipe where the chicken is moist and tender. You can add chopped onion and baby carrots, bell peppers, mushrooms, and garlic, too. The secret ingredients in this chicken dish that give this dish its velvety texture are condensed soup and cream cheese. Nothing is easier than this two-ingredient recipe. This salsa crockpot chicken is so simple and served over buttered noodles or a rice pilaf dish, this is one of the best go-to recipes. For more oomph, serves it over chile rice casserole for even more flavor. Crockpot chicken cacciatore means "hunter" in Italian. This rich recipe is made with bone-in chicken thighs, two kinds of tomatoes, mushrooms, onion, garlic, and dry red wine. It is perfect for a cold winter night. And, if you like it spicy, you can always add red pepper flakes to meet your heat preference. Crockpot chicken and dumplings are the ultimate comfort food. This recipe is so easy and so good. This recipe includes a homemade dumpling mix versus a box mix, which makes it an even better meal. This five-ingredient sweet and spicy crockpot chicken recipe is so flavorful and easy to make with the use of two pre-made bottled sauces. The chicken comes out super tender. This recipe can be as mild or as spicy as you'd like. If you like it mild, use a mild barbecue sauce. The crockpot chicken wild rice casserole cooks in the crockpot, absorbing the flavors of the other ingredients. You will need a little more time if you choose to make the rice in the pot. 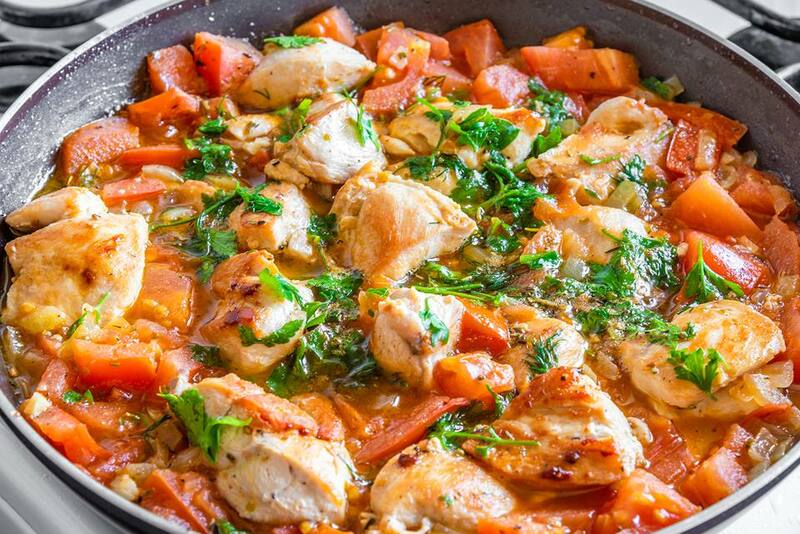 The best part is that you can use chicken breasts or thighs. Whatever you have, throw it in there. How Do You Make Crock Pot Chicken Alfredo?